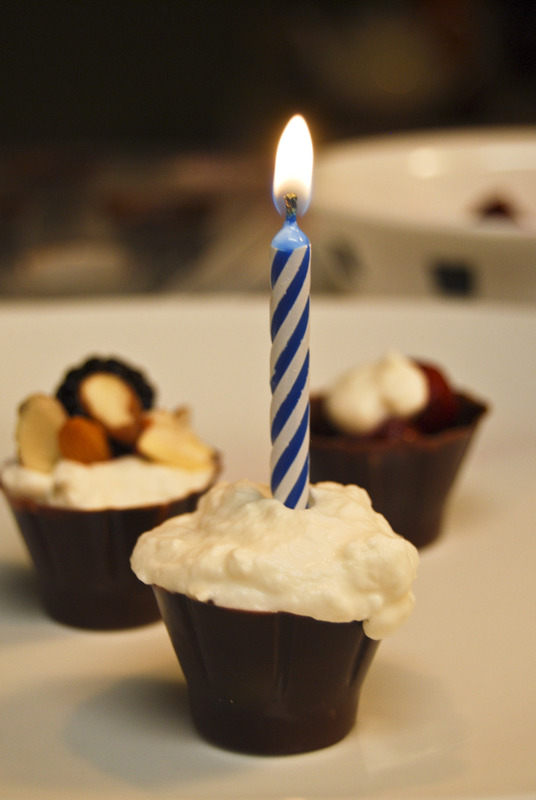 Originally for our blog’s first birthday, I had planned to make some cute mini cakes for the occasion. However, that plan was scrapped when I realized I had burnt them! =( I was seriously bummed… Naturally I wasn’t about to post any embarrassing pictures of charcoal-color bundt cakes. (Next time will be better, I promise!) Luckily, I had some chocolate molds, candy melt, berries and freshly made whip cream. With the help of my awesome roommate (thanks Monique! ), we were able to get back on track and create something that was worth putting a birthday candle on. 1. 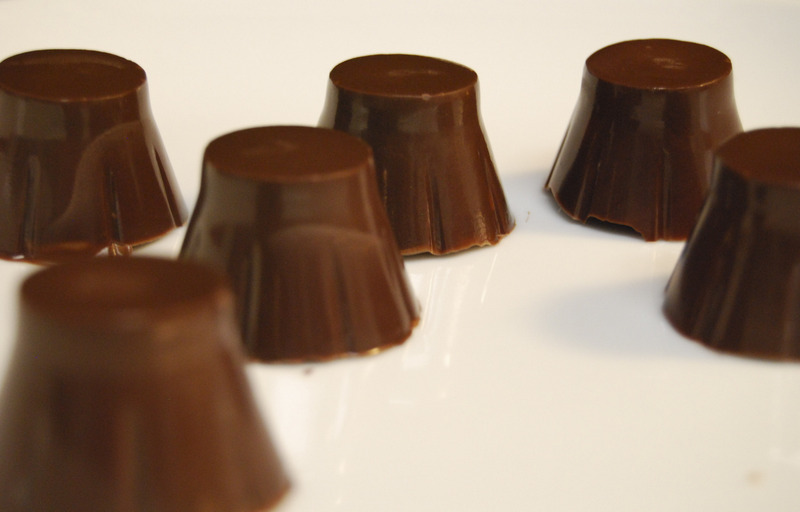 Melt Candy melt/chocolate 30 seconds at a time in a icing bag or ceramic bowl until smooth. 2. Add melted chocolate into cavaties. Tilt the mold back and forth so the chocolate evenly coats the surface. 3. Put in the freezer for about 5-7 minutes, or until the chocolate hardens. 4. 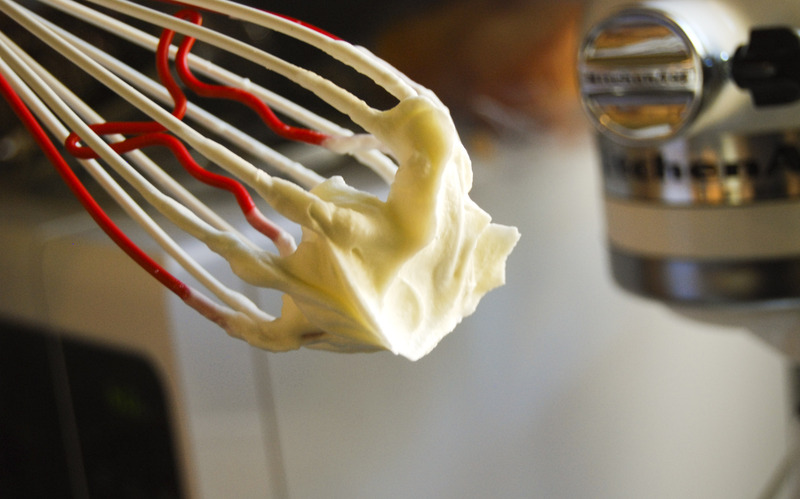 To make fresh whip cream, whisk a couple tablespoons of heavy whipping cream with some powdered sugar to a medium sized bowl. Add powdered sugar to your own taste – I put about 2 teaspoons or so in. Whisk for several minutes until the cream thickens. 5. 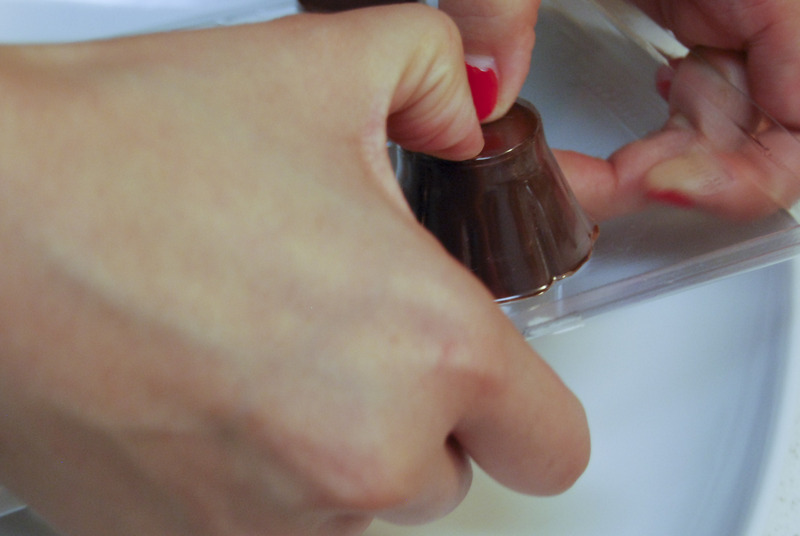 Take chocolate mold tray out, flip over and pop the chocolate out onto a plate. 6. 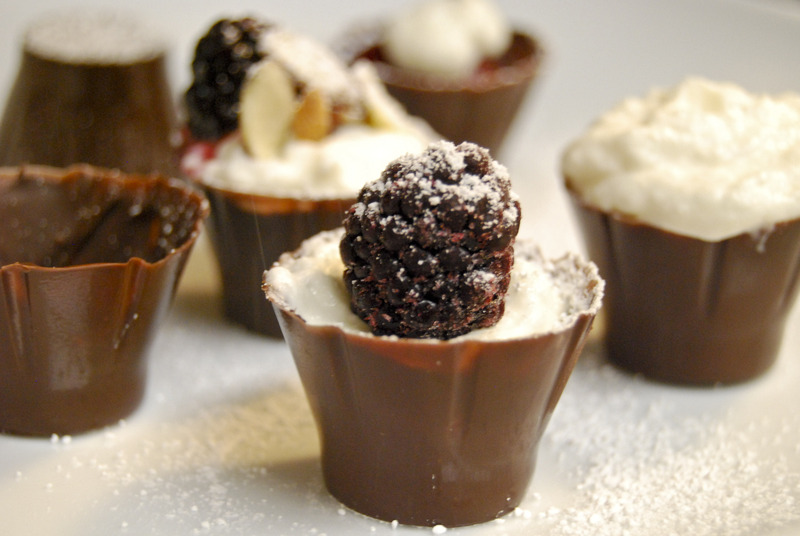 Decorate with whip cream, berries, almonds and enjoy! ← Food Comas Turns 1!